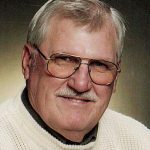 Born February 10, 1943 in Cedar Falls, IA and died January 11, 2019 in Denver, IA. 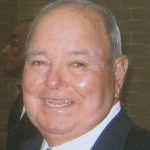 Ronald Keith Bigelow joined the United States Navy March 24, 1962 in Des Moines, IA, served during the Vietnam era and reached the rank of Machinist's Mate Third Class before being discharged June 13, 1966 in USS Sabine (AO-25). 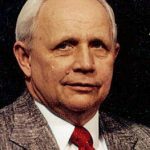 Born January 15, 1931 in Janesville, IA and died May 2, 2018 in Denver, IA. 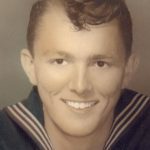 Paul Stanley Kurtz joined the United States Navy November 20, 1952 in Great Lakes, IL, served during the Korean War era and reached the rank of Commissaryman Seaman before being discharged September 23, 1954 in Seattle, WA. Born January 19, 1937 in Chicago, IL and died January 22, 2018 in Hiawatha, IA. 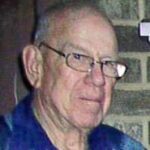 Robert Patrick Kacick joined the United States Marine Corps January 21, 1954 in Chicago, IL, served during the Korean War era and reached the rank of before being discharged August 20, 1957 in Norfolk, VA.
Born March 8, 1937 in New Vienna, IA and died September 18, 2017 in Cedar Falls, IA. 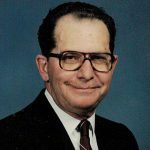 Gerald Alphonse Klosterman joined the United States Army November 15, 1956 in Des Moines, IA, served during the Peacetime era and reached the rank of Specialist Fourth Grade before being discharged November 13, 1959 in Fort Dix, NJ. Born September 6, 1931 in Maywood, IL and died October 10, 2017 in Sumner, IA. Harold Roger Snyder joined the United States Army February 5, 1952 in Des Moines, IA, served during the Korean War era and reached the rank of Sergeant before being discharged February 4, 1954 in Fort Benning, GA.
Born November 3, 1936 in Wellsburg, IA and died May 21, 2018 in Waverly, IA. 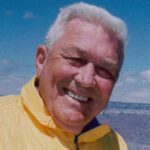 Duane Truman Huisman joined the United States Air Force July 25, 1956 in TBD, served during the Peacetime era and reached the rank of before being discharged July 24, 1960 in TDB. Born December 2, 1929 in Waterloo, IA and died July 8, 2017 in Waverly, IA. Norman William Herman joined the United States Air Force October 18, 1950 in Des Moines, IA, served during the Korean War era and reached the rank of Staff Sergeant before being discharged October 17, 1954 in Orlando Air Force Base, FL. Born June 19, 1930 in Winnebago, MN and died October 22, 2017 in Waterloo, IA. 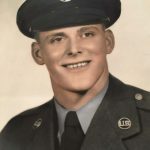 Richard Darrell Benschoter joined the United States Air Force December 23, 1950 in Minneapolis, MN, served during the Korean War era and reached the rank of Airman Basic before being discharged December 3, 1954 in Waverly, IA. 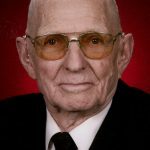 Born December 15, 1925 in Aredale, IA and died October 22, 2017 in Shell Rock, IA. 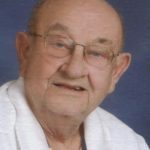 Orville Edward Fox joined the United States Army March 25, 1944 in Camp Dodge, IA, served during the World War II era and reached the rank of Private before being discharged June 5, 1946 in Fort Sheridan, IL.